Having been involved in more than 40 FPSO projects (new construction, conversions and various studies) the last ten years, ICE is pleased to note an increased activity in that industry segment. After several quiet years, ICE is again receiving inquiries and providing FPSO-related design services. 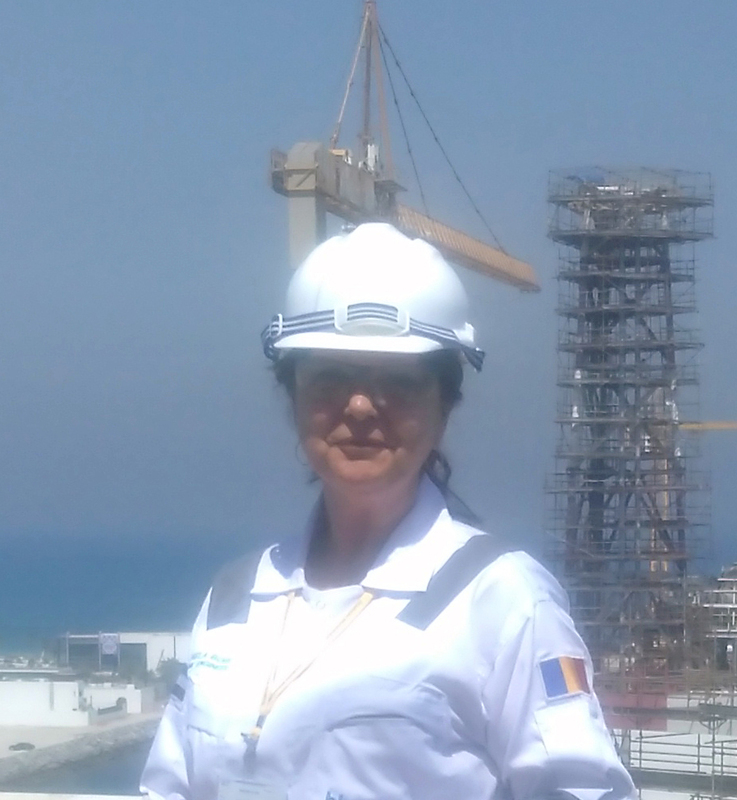 Recently Mihaela Bobe (pictured here), one of ICE’s most experienced marine systems engineer, successfully carried out an on-site support assignment at an FPSO in Dubai. ICE has earlier done design work in the UAE for clients such as Saipem (Cidade de Vitoria and Gimboa FPSO conversions), Teekay (Falcon Spirit FSO conversion), FPS Ocean Management (Deep Producer 1 FPSO conversion) as well as design on a series of jack-up wind turbine installation newbuild vessels and jack-ups for Lamprell and MIS.